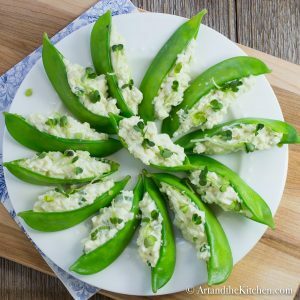 Egg Salad Stuffed Snow Peas are a delightful, light, crunchy appetizer that makes a great addition to any party tray! 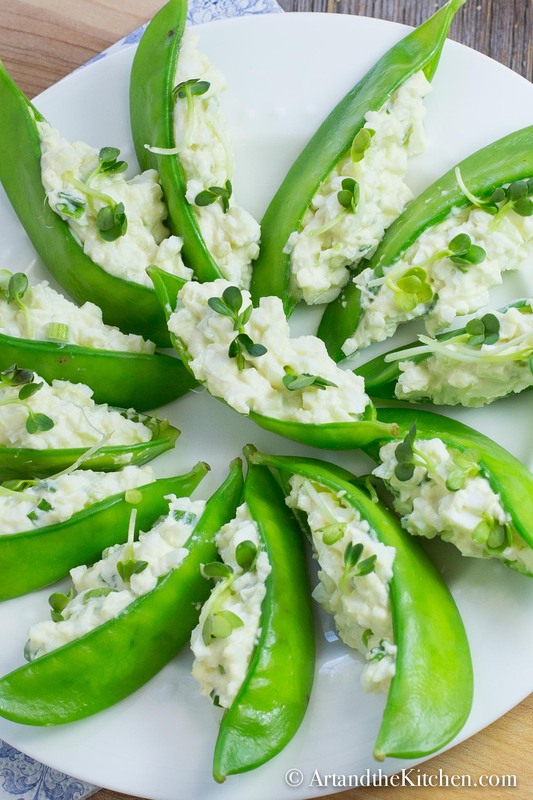 Egg Salad Stuffed Snow Peas are fresh, light and easy to make. I love them for an anytime snack or even a lunch. Be sure to start off with fresh crisp snow peas. When making a batch up for a party I usually blanch and split the snow peas ahead of time, then keep refrigerated in a sealed container until ready to fill. The egg salad filling can also be made ahead of time. Egg Salad Stuffed Snow Peas are a delightful, crisp light appetizer! Blanch snow peas by placing in a bowl and pouring boiling water over them. 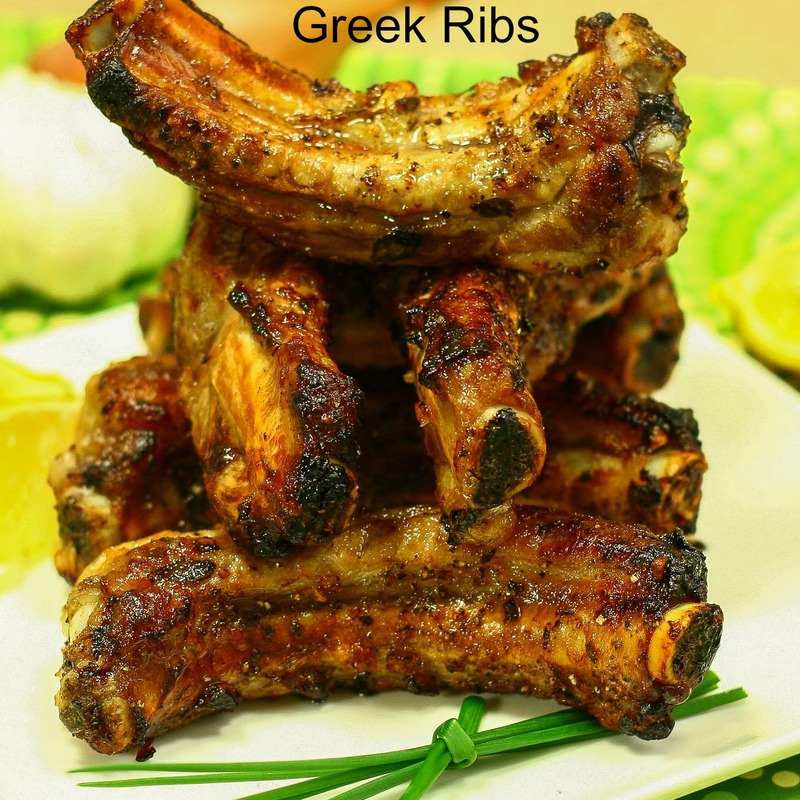 Let stand for 20 seconds, drain immediately and place in ice cold water. Slit open short side of peas. Keep refrigerated while you make filling. In a bowl combine together eggs, celery, green onion, mayonnaise, Dijon mustard and salt. 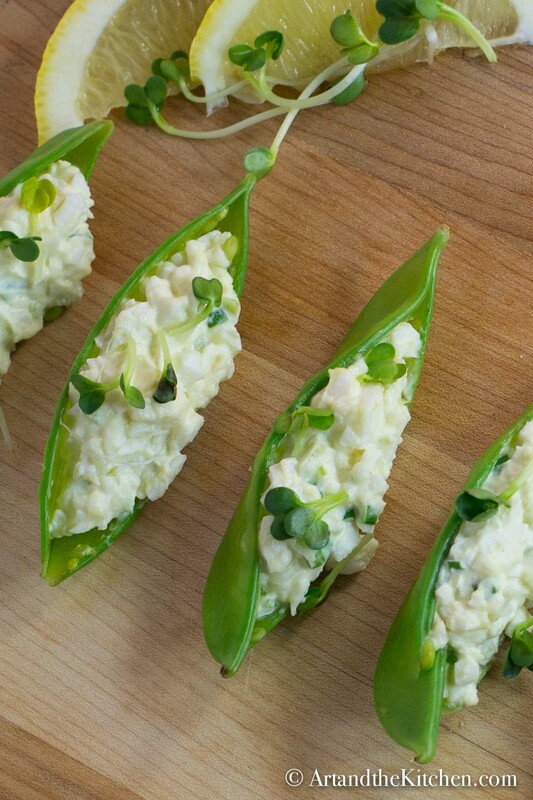 Fill each pea pod with about 1 heaping teaspoon of egg salad mixture. 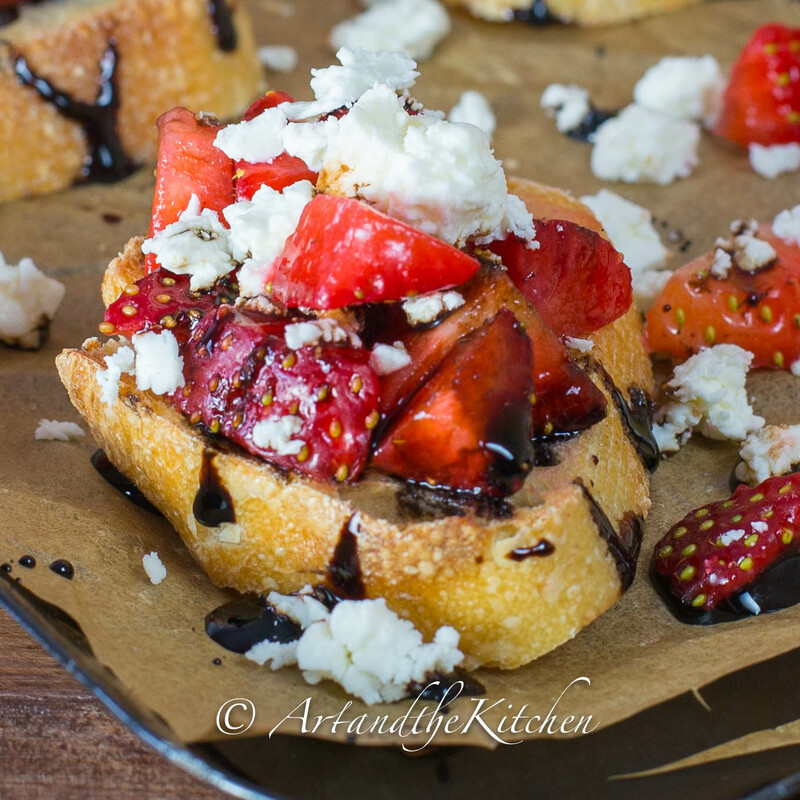 Garnish with fresh radish sprouts. The fresh radish sprouts add a great zip of flavour to the stuffed peas, but any sprout you like will work.